The slides provide a marker which moves up the spiral as you proceed with your slides. 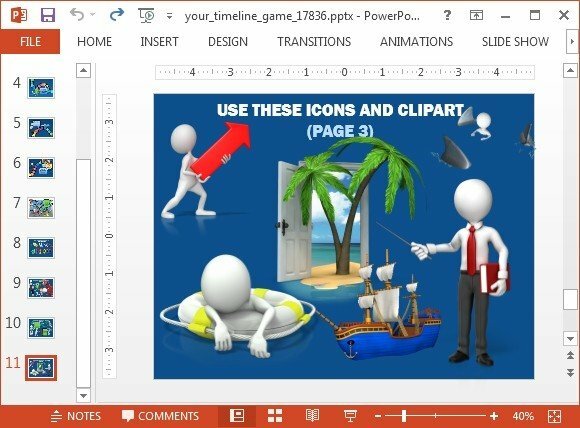 There are text-boxes and sample (replaceable) clipart along the way to help you fashion your slides in a manner which can reflect your topic adequately. 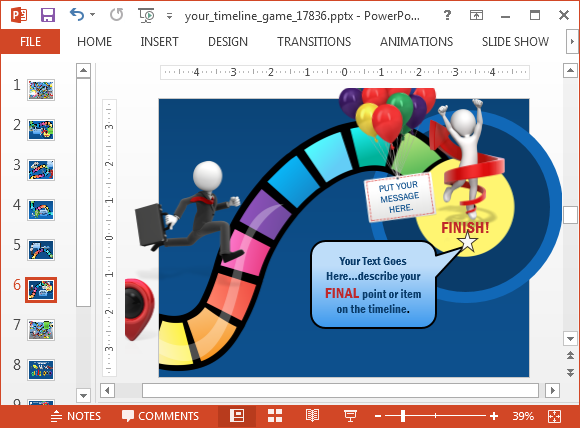 The sample timeline has been designed with various slides which have a start and end slide. However, there is scope for adding additional slides in between and even at the end of this sequence. As you proceed with your slides new images are displayed, with sections highlighting the significance of that specific point in the spiral. 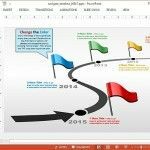 This makes it possible to create a timeline presentation with interesting graphics which can help you keep your audience interested in your presentation. 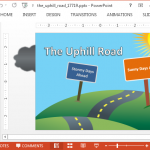 There are also instructions within slides to edit the animations in the form of tooltips. 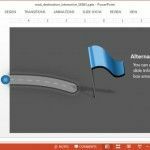 You can play around with Ribbon menu options in PowerPoint to mix and mash your own content, as well as to customize sample layouts. 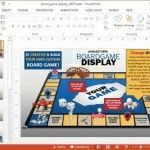 There are four slides with clipart images which can be used for custom slide designs. These images are quite high in quality and therefore, you can resize and adjust them without loss of quality. 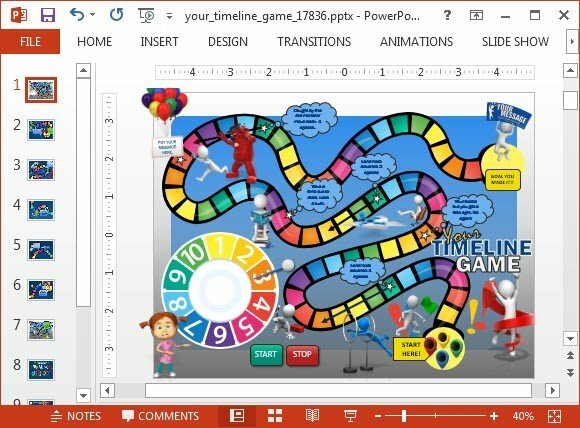 Furthermore, you can also recolor them using PowerPoint formatting options. 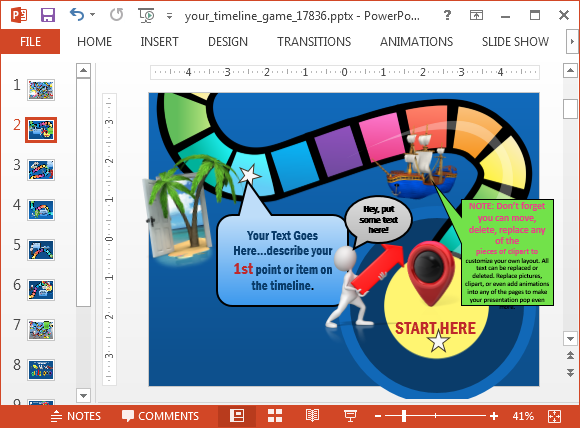 This animated board game timeline template has a widescreen and standard version which is compatible with all major editions of PowerPoint. 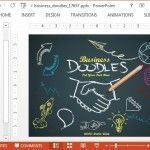 This includes both PC and Mac versions of PowerPoint.